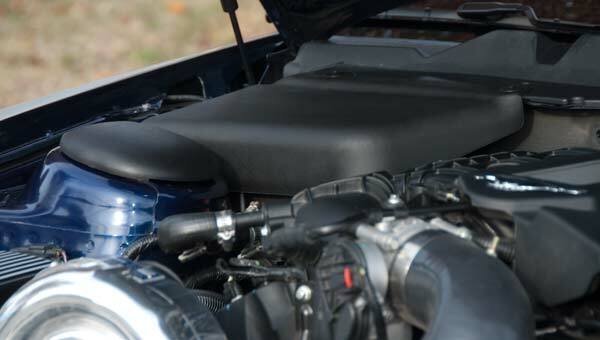 To Dress up under the hood a little more CPC California Pony Cars makes a Mustang Battery and Master Cylinder Cover set. 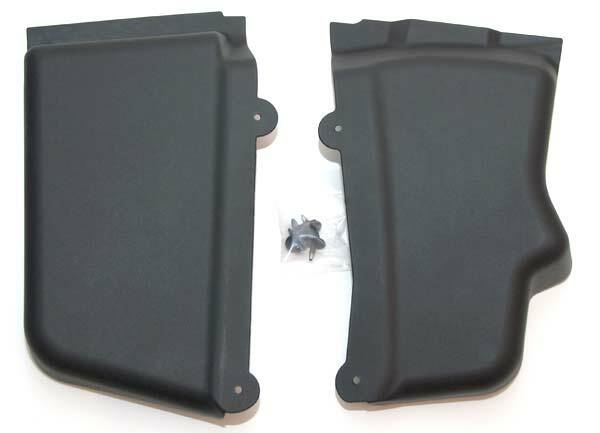 These are made of the same injection molded textured plastic as the factory underhood components for a perfect match. They are seen here with the CPC Strut Tower Covers and the CPC fuse box cover. 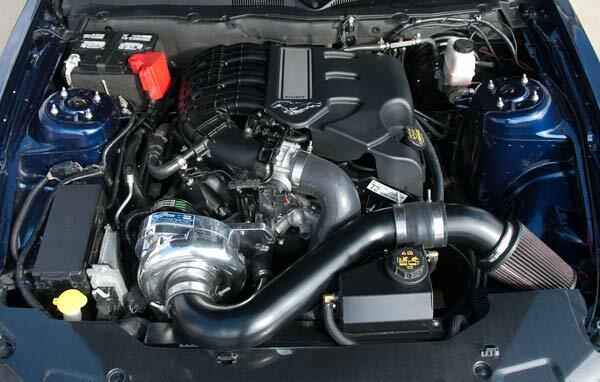 As well as the ProCharger Supercharger for the 3.7L V6 Mustang. 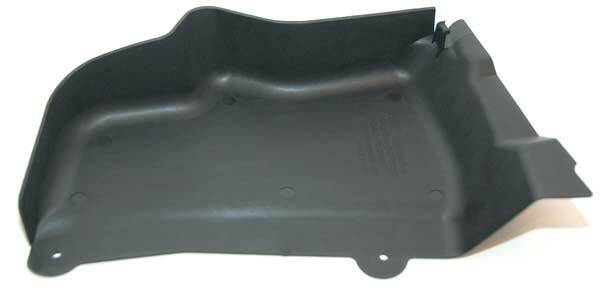 If you are trying to get your car show car worthy then these CPC Battery cover and Master cylinder cover are a great way to get there. The CPC part number is ENG-058-609 and they sell for $89.99 and that is a pretty good price for everything you get. 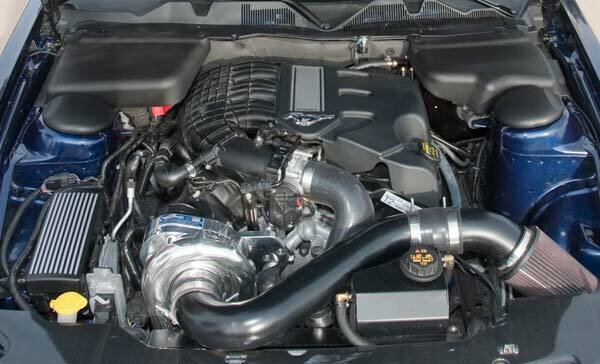 Here is the Engine bay without any new CPC Covers. 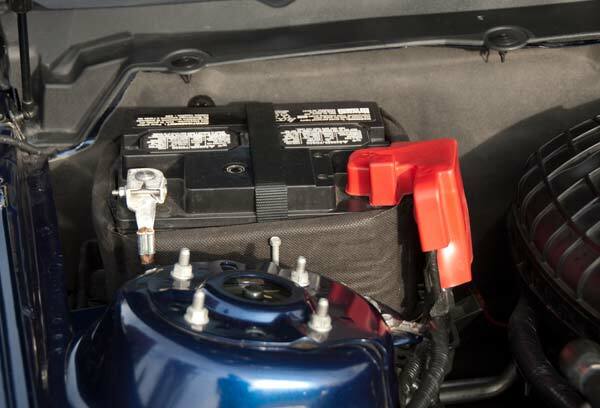 This is the stock 2011 battery. Its not all that attractive and here over 1yr after the cars release there is not a company making a billet battery hold-down. So the next option is to utilize a nice looking cover. 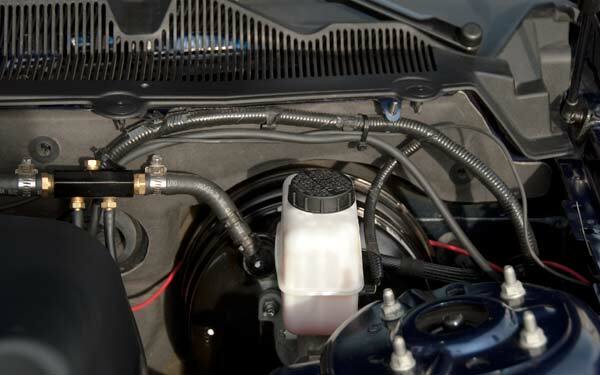 Here is a shot of the 3.7L mustang master cylinder area. There is nothing you can really do besides ad a nice CPC cover. Plus this area really needs some aesthetic help. Top notch shipping, made in the USA and lifetime warranty. CPC does it right! The set includes the two covers and 4 new cowl pins. 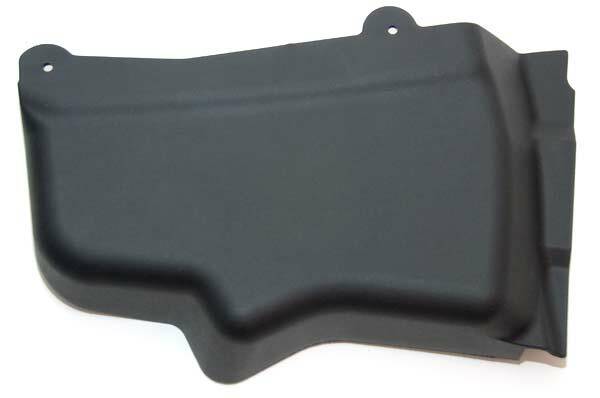 This is the CPC Master cylinder cover. 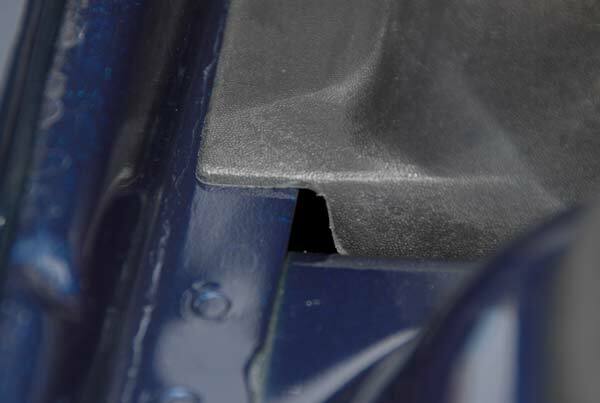 Here is a shot of the bottom of the Master cylinder cover. 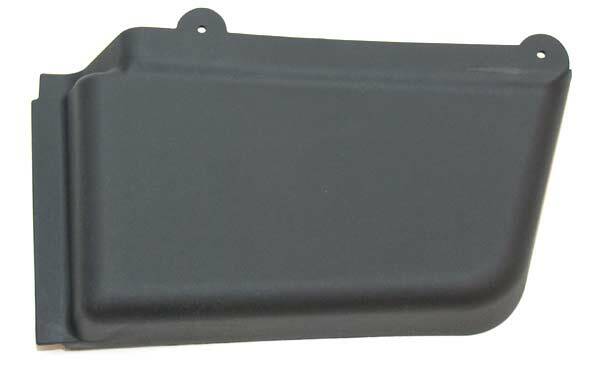 Here is the Battery cover. And a bottom shot of the battery cover. You can also identify them with the words imprinted on the bottom. 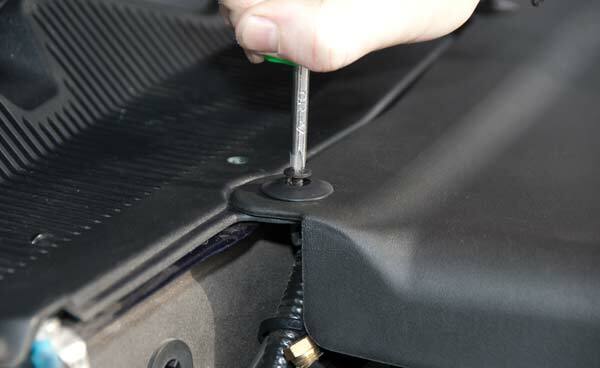 Remove your factory cowl tabs with a Phillips head screwdriver. 4 in total. 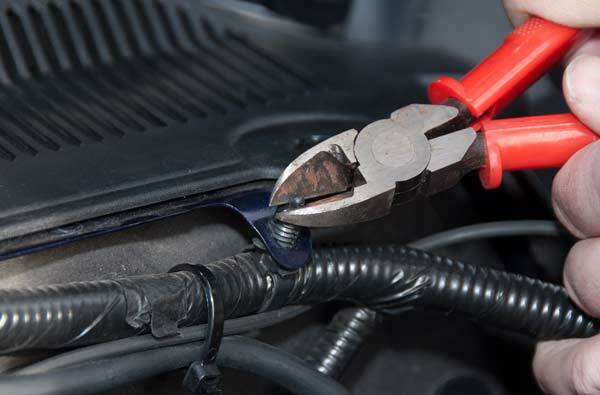 On the drivers side you will need to trim the retainer tabs (2) down a bit so the cover can sit flush. See picture above for other tab. Now you are ready to place it on. 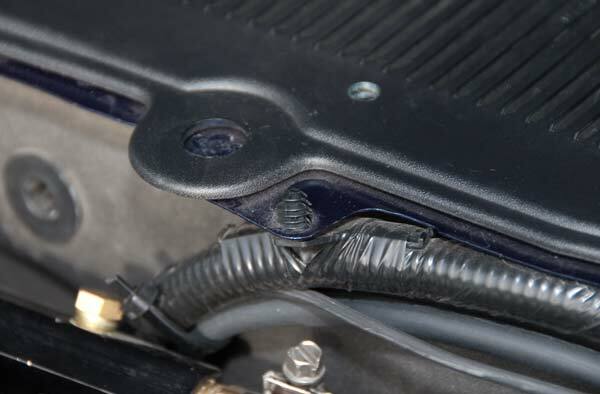 Note if you have a strut tower bar you may need to trim the cover. 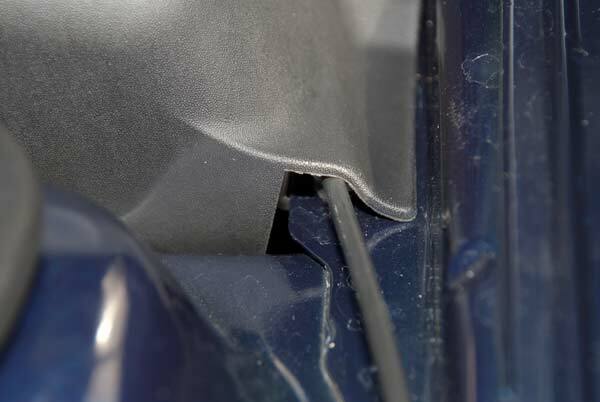 There is a small interlocking fender tab on the bottom that needs to slide in first then you can set it down flat. Then you can put the fasteners back into place. I had to use a bit of force to get them back down. Now the cover is in place. Now repeat the procedure on the battery side. Slide the tab on the lip. Then put the two fasteners on and enjoy your new covers. 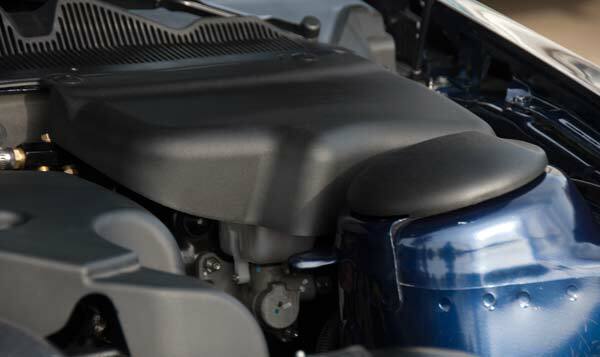 Note they are shown with the CPC strut tower covers. Those are sold separately.